Fantastic figure Sideshow! I just have one issue...Why didn't you also release a 1/6 Mola Ram? I really thought with the quality figures you're putting out it would have been a great pairing to also have the iconic villain. 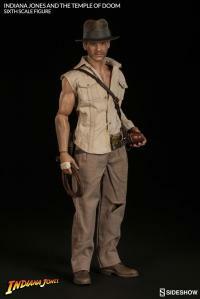 What a great figure with great detail and the portrait is so spot on. I actually like it better with the hat off. Was sad when the hot toys one sold out glad I got this one instead, I mean come on this Indy's battle worn! 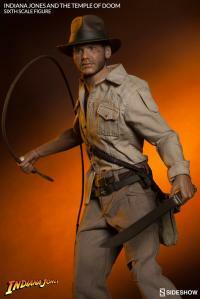 Excellent Job Sideshow , the figures likeness to Indy is dead on ! It has a presence about it that proves the sculpt ,quality of the clothing and tailoring was done with lots of attention to detail . This is the first figure i've owned where I really want a second one ! 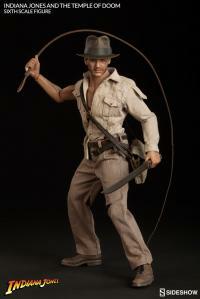 Hot Toys Indy, please step down ! 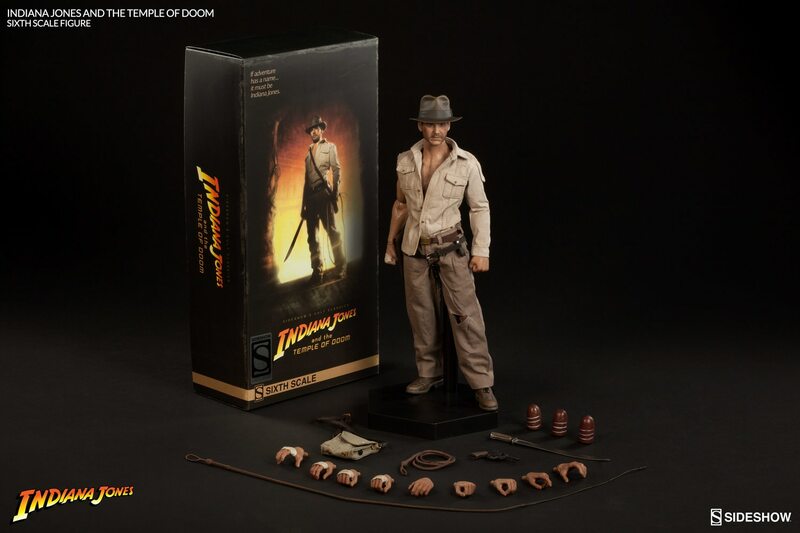 Unquestionably the best 1/6 Indy out of the box! Amazing head sculpt and paint makes this the best likeness of Indy we've seen in this scale. Not even a Temple fan but this is hands down my favorite Indy 1/6 figure! One thing: please bring back the environment themed bases! Photos do not do this thing justice. Get it. 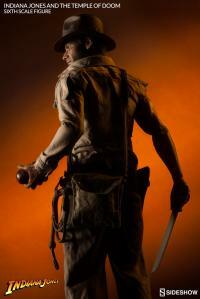 Push the head fully down (love that flexible neck), push that hat fully down and you are set. The head sculpt is amazing. 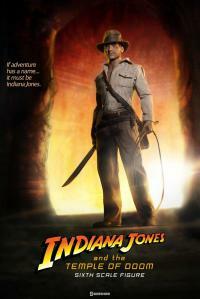 Honestly, this thing oozes Indy. 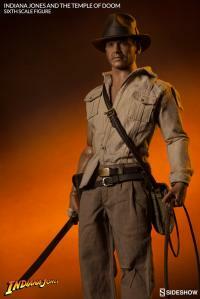 Hot Toys better watch out, Sideshow are turning up the heat. Hats off to you Sideshow!!! 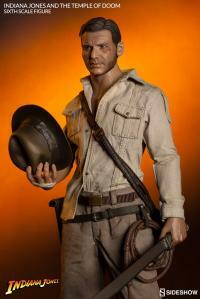 I really like this new Indy from Sideshow. 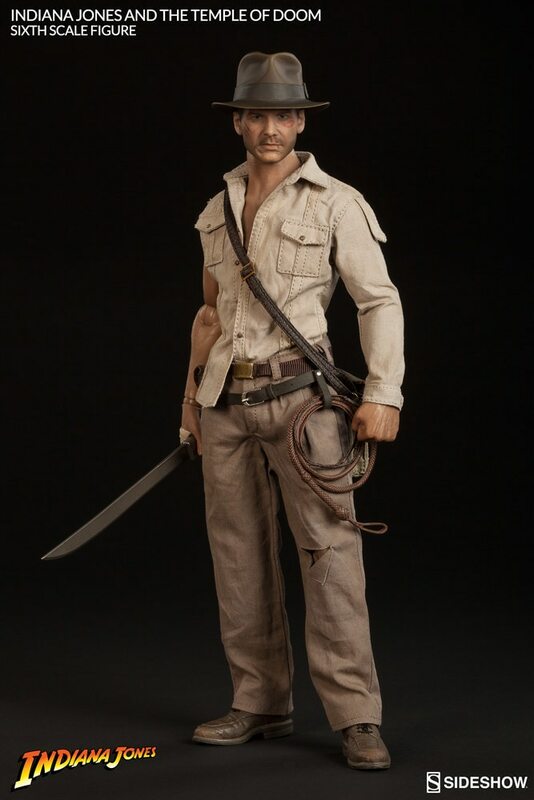 What I'd love to see produced are the 1/6 figures of Marion Ravenwood and Sallah. What a fantastic figure! 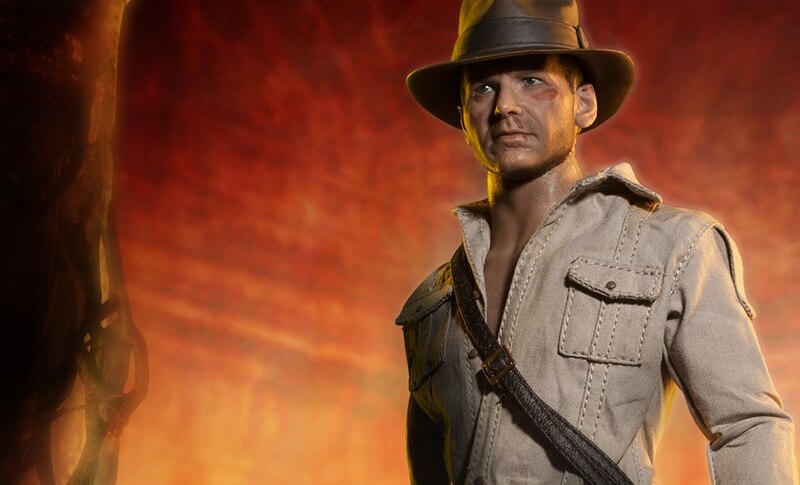 No doubt the best Harrison Indy 1/6 sculpt yet, beating even HT's recent pass. The body of the figure is also very near to Hot Toys quality and appears to overcome some of the previous leg joint issues seen in previous Sideshow figs. Pics don't do it justice. 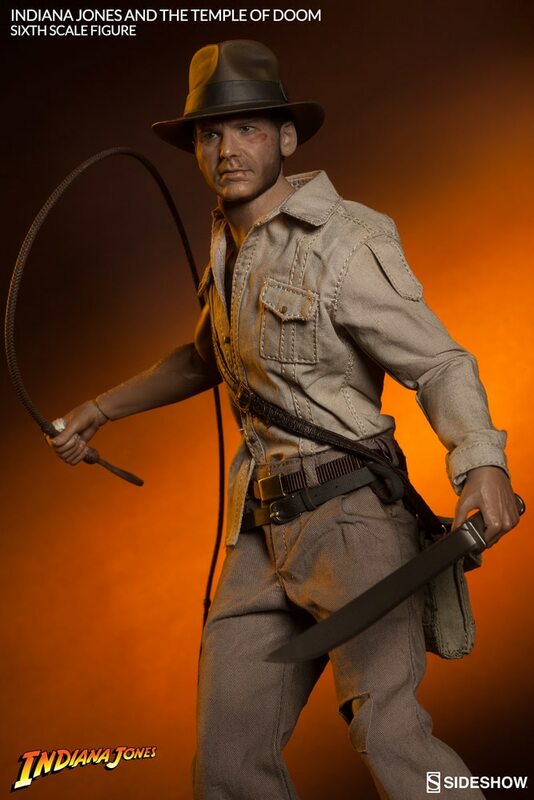 Hands-down one of the best 1:6 versions of Indy ever...great portrait (with the hat on), terrific outfit and accessories (especially that machete!) Don;t stop now, Sideshow! Let's have Mola Ram! Amazing figure from Sideshow! Pictures do this figure no justice. 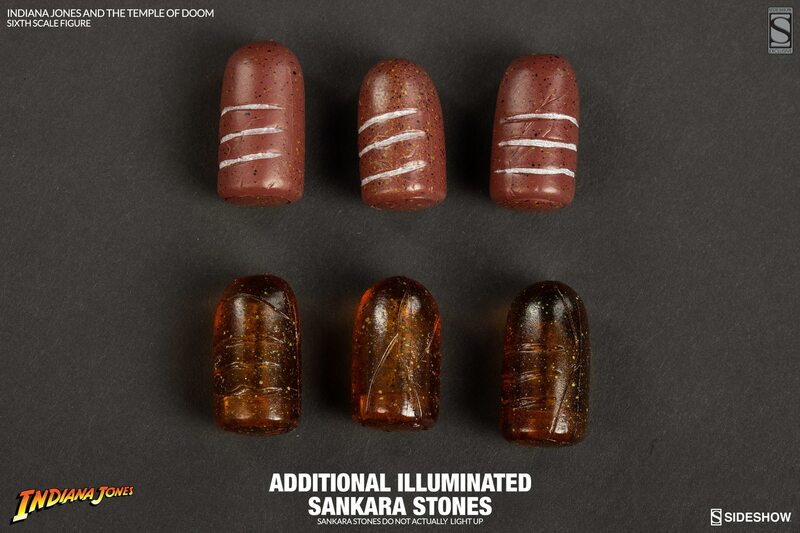 Must see it in person. 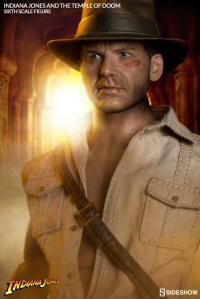 I was not a big fan of the Hot Toys Raiders Figure, but must say that Sideshow did an amazing job with the head sculp. Must buy for any Indiana Jones fan. Great Job Sideshow! What an AMAZING figure. The best Harrison Ford sculpt yet. 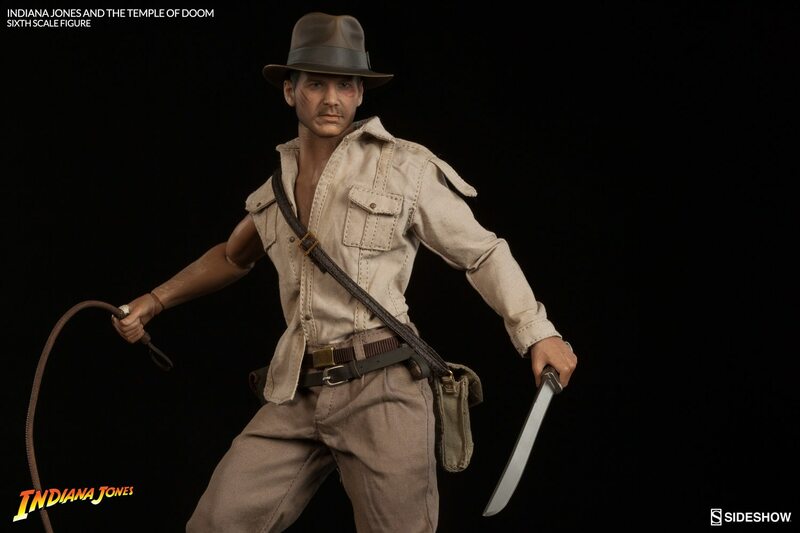 Take notice Hot Toys. The photos do not do this figure justice. Get this one while you can. FANTASTIC! Does not disappoint!